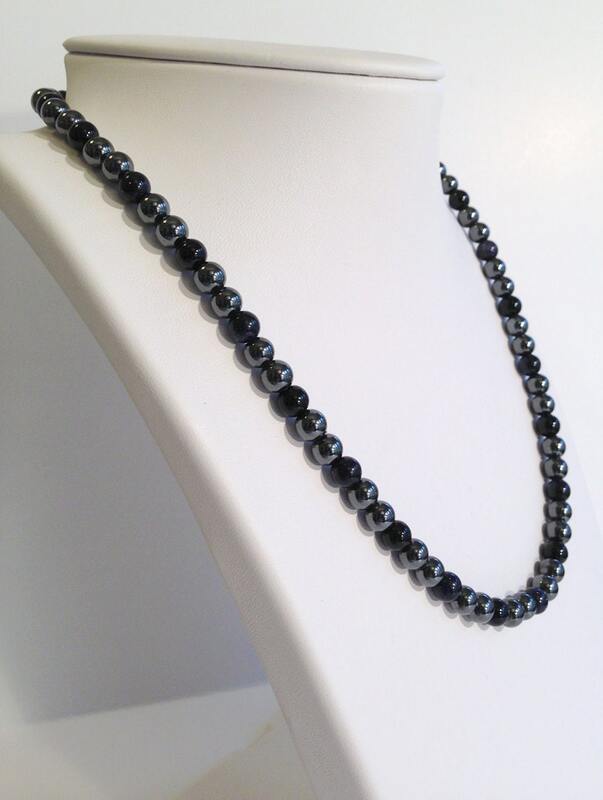 Here's a magnetic necklace with magnetic hematite beads and gemstone accents. 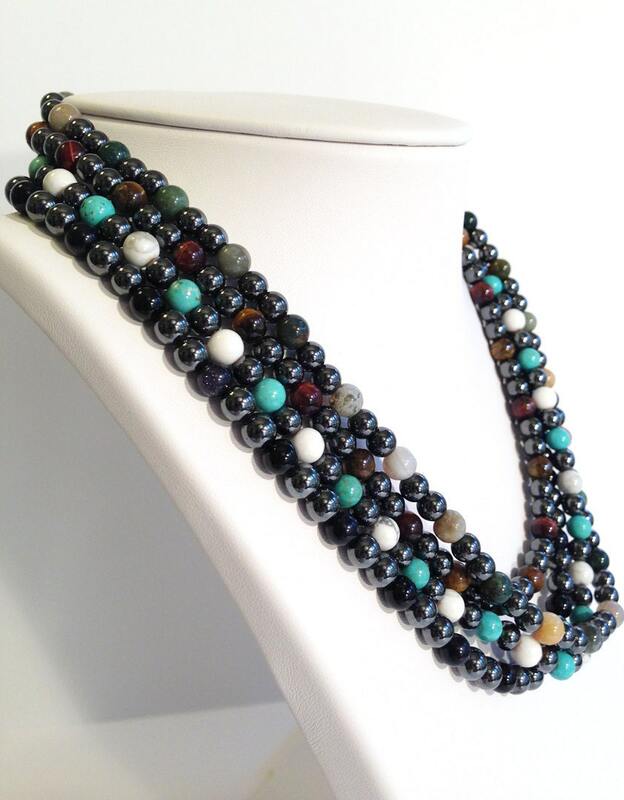 Deep dark night sky color palate is the design, with dark lustrous magnetic hematite intermingled with black obsidian and midnight blue goldstone. The blue is so deep it is almost black. 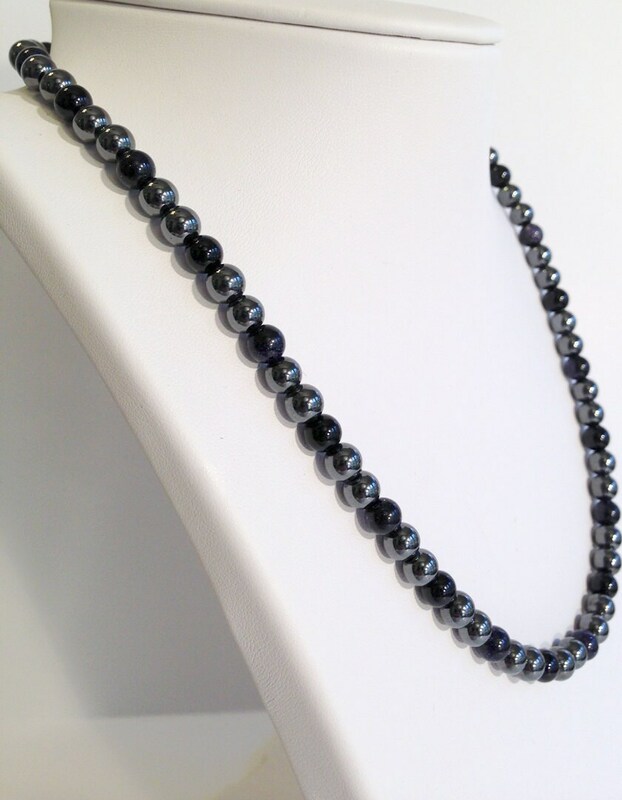 It is hard to see in the photos, but the blue goldstone is sparkly like a blanket of stars across a night sky. 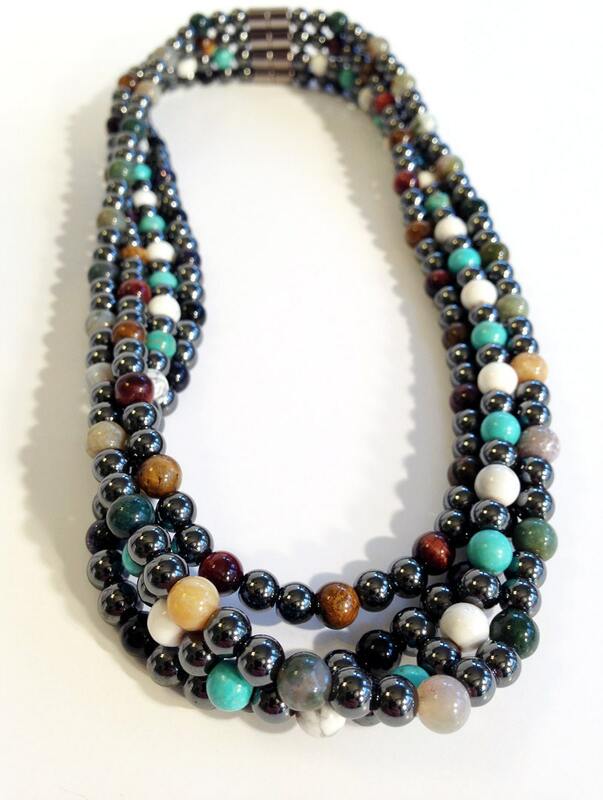 Beads are 6mm in size and the magnetic hematite is magnetic, the accent gemstones are non magnetic. Looks amazing with casual style or dressed up by day or by sparkle of night. 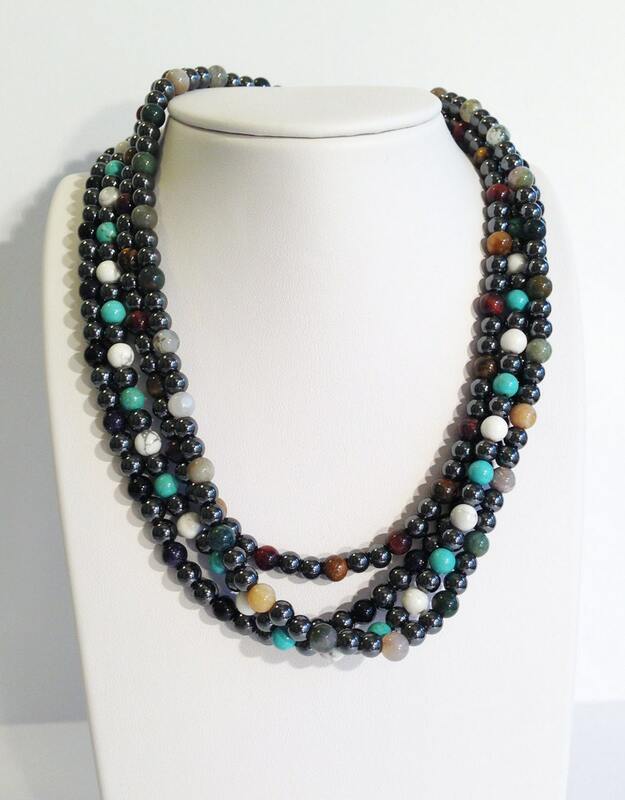 Thanks so much for making this beautiful necklace at my special order length of 24 inches. I love it! Really pretty combination. Very elegant & classy. Your pieces are so well made & I always get compliments when I wear them. I'm sure you'll list more things I "can't live without". Thanks.